In a recent announcement, Foodpanda, the online food ordering and delivery platform roped in Anshul Khandelwal as Head -Marketing to lead the brand’s creative and marketing mandates. 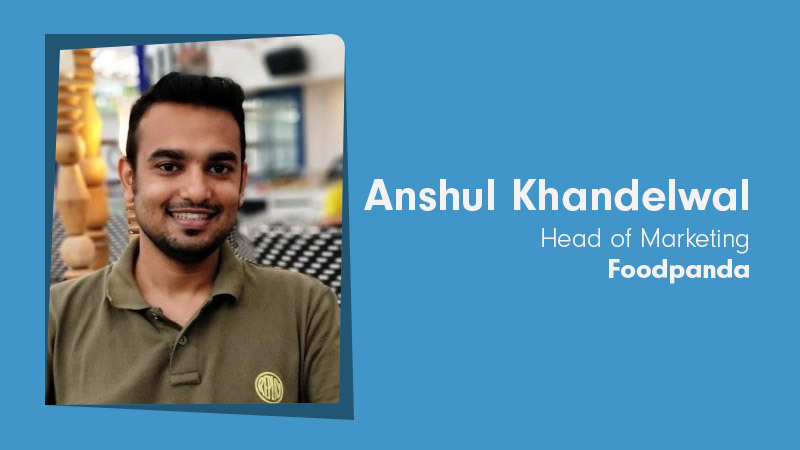 While aligned to the organisation’s larger business objectives, Anshul Khandelwal will work closely with the Foodpanda leadership to assess and navigate through the foodtech ecosystem to create a positive impact in the ways the company reaches out to its stakeholders. The announcement is a part of the series of appointments in the senior leadership team at Foodpanda in a span of two months. Khandelwal comes armed with close to a decade of diverse experience- experimenting and treading a fine-balance between traditional and modern-day marketing campaigns across several sectors such as e-commerce, education and healthcare. In his previous stints, he has led the brand strategy and positioning and customer acquisition in addition to leading innovations across online marketing, creative development and brand activation. An IIM Kozhikode alumnus, Khandelwal has led marketing initiatives for organisations such as Bluestone, Little Black Book (LBB) and UpGrad in the past.